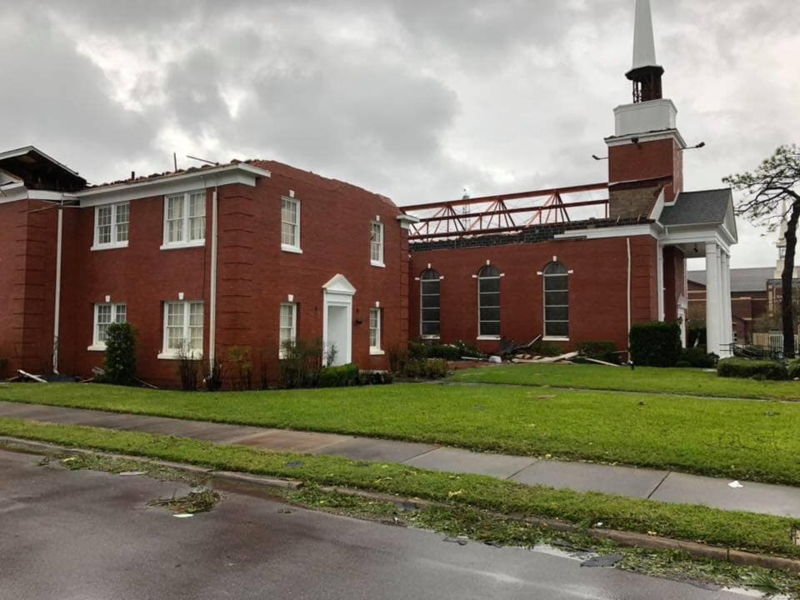 Dear Friends,I want to tell you about an opportunity that Cornerstone has to serve those affected by Hurricane Michael on the Gulf Coast. Several from our congregation have had the opportunity to go down to the affected area and partner with local churches and ministries to serve those in the community devastated by the hurricane. On January 18-21, 2019, Rick and Wendy Dillon will lead a team from Cornerstone to partner with PCA MNA Disaster Response to serve those in Panama City. Specifically, several PCA churches and church members homes had significant damage. Hurricane Michael was the third-most intense Atlantic hurricane to make landfall in the US, right behind the 1935 Labor Day Hurricane and Hurricane Camille of 1969. It was also the strongest storm in terms of maximum sustained wind speed to strike the contiguous United States since Andrew in 1992. In addition, it was the strongest storm on record in the Florida Panhandle and was the fourth-strongest landfalling hurricane in the contiguous US in terms of wind speed. At least 35 deaths have been attributed to the storm in the US. Insurance losses due to Michael in the US are estimated near $11 billion. One of the our values at Cornerstone is missions and outreach. There are many ways that we get to express this value. One of the ways we want to grow in this value is through physically going and serving those in need. This trip will be a great opportunity for us to partner with the PCA for on-going kingdom work on the Florida Gulf Coast. Here are some details if you would like to pray about going or helping. • We will partner with our denomination’s own MNA Disaster Response. • We will be going to Panama City to help those affected by Hurricane Michael. Trip dates January 18-21, 2019. • Volunteers needed: Men, Women and youth (age of 15 or older). • If interested, the first step will be to register as a disaster response volunteer with MNA. This registration process includes a background screening that clears the individual to serve and is good for 36 months. Click here to register. Cost $8. • Cost for trip will be minimal. Please pray about going to serve. If you are unable to go, be on the lookout for other ways you can help partner with the team that goes. MNA leaders have told us that they cannot stress enough about the tremendous needs with which they are dealing. All who have gone to Panama City have said it is just like Katrina. Katrina was larger, but Michael was much more powerful when making landfall. Below are some links that tell you more about the work. Please check them out.